Does your local mechanic in Warner do house calls? We do. 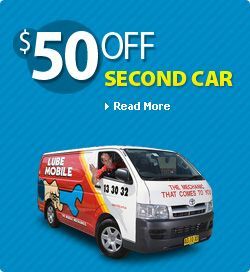 We are Australia’s #1 fleet of completely mobile mechanics who are local to everywhere including in Chermside, Tingalpa and Wynnum West. We service and repair your vehicle in whatever location that you specify. So you can have your car serviced wherever you happen to be like the office, your home address, or anywhere else that you are. 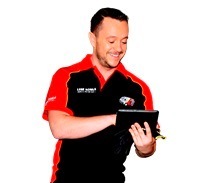 Our mechanics have serviced over 2,213 vehicles for owners at their chosen specified time throughout the last year. Our mechanics have commonly worked on Log book servicing in your local area and will arrive fully equipped to carry out a range of mechanical service work and repairs like fixing noisy bearings and battery testing and replacement. Our fleet even includes specialist tyre mechanics available for on site tyre replacement. Great and easy to book mechanic even phoned to say he was on his way. As fully prepared and experienced motor specialists, our mechanics arrive at your preferred location with what they need to service your vehicle, no matter what the make and model. In your area our mechanics have commonly serviced Toyota, Holden and Ford. Servicing all vehicle types on site, our most recent services in your area have included Nissan, Alfa Romeo and Jaguar. Any and all parts required for your vehicle are sourced quickly, our mechanics choosing only the best part available at the highest quality like air flow meter, flywheel and radiator. Whether you drive Ford or Proton, our mobile professionals arrive on time and with everything they need to service your vehicle to the very highest professional standards. Our customers enjoy industry leading service standards from friendly mechanics who explain as they go which ensures that you understand what your vehicle needs and how we’re keeping it in top condition. In the last three months our 38 local mechanics been given over 45 positive reviews from our clients in Brisbane Metro.